We have chosen the winner of Small Business Big Heart 2018! We're delighted to announce that Kilted Lobster is the winner of the 2018 Small Business Big Heart Award. Just like last year, the Small Business Big Heart Award entries were wide and varied, every one telling a compelling story about the amazing efforts each small business undertakes to help individuals, organisationsand causes that benefit from their support. But, as they say, there can only be one winner and this year gourmet restaurant Kilted Lobster is it. "Cooking Up a Storm is the Social Conscience of our restaurant. We truly believe in influencing and supporting our community, our city and our country through simple and practical projects. Much like following a recipe we believe in a step-by-step approach to do what we can to make a difference in people's lives." And how do they do that? Well, the list is long and impressive but includes closing the restaurant every Tuesday serve top notch food to families facing financial hardship, running courses for those with health issues to enable them to cook healthy and nutritious meals and providing on the job training to people facing barriers to education. We're sure you'll agree they're worthy winners and when we know what they'll be using their £1,000 prize for we'll let you know. But that's not all, of our ten regional finalists, four others stood out and earned highly Commended Small Business Big Heart Awards. "For the second year running the Small Business Big Heart Awards have demonstrated the incredible impact the UK's small business community has on individuals and organisations that might otherwise be overlooked. I'd like to take this opportunity to thank every one of our entrants and congratulate every one of our finalists." 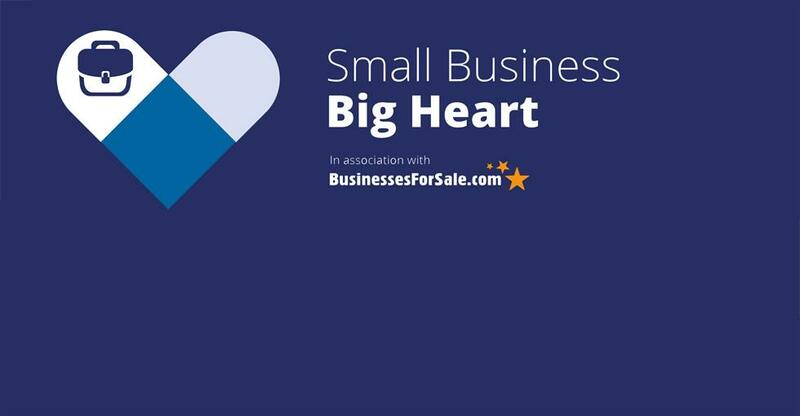 Does your small business have a big heart?